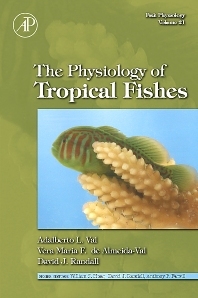 The Physiology of Tropical Fishes is the 21st volume of the well-known Fish Physiology series and consists of 12 chapters. The purpose of the book is to consolidate and integrate what is known about tropical fishes (marine and freshwater species). The twelve chapters focus on the physiological adaptations acquired during the evolutionary process to cope with warm and shallow hypoxic waters from tropical and neotropical hydrographic basins as well as with the intertidal and coral reef habitats which occur in abundance in tropical seas. The special characteristics of tropical fish fauna will be issued in order to explain the tropical fish radiation, which gave rise to such extreme fish diversity. This present volume, is a voyage through the tropical region reviewing the fish diversity of the main tropical freshwater sheds, including the major tropical rivers and lakes, the major dams, and marine environments. This is a great reference book on the physiological adaptations of Amazonian fishes to their environment. I found the ion transport and respiratory physiology chapters particularly good.